Sometimes we just need to see attribute details not geometry. So instead of carrying heavy shape files we can convert them in XLSX format. 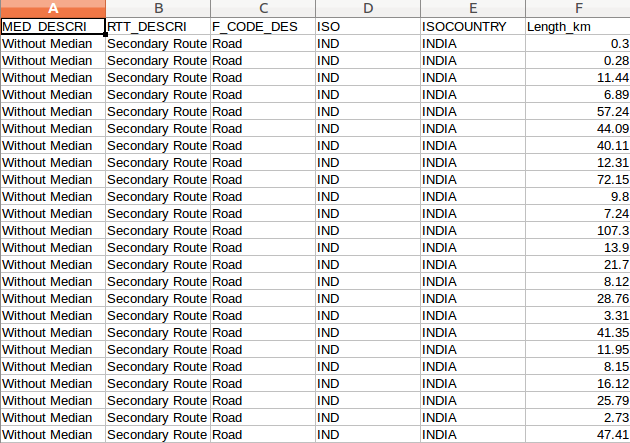 XLSX file contains on attribute detail or can say non spatial data. XLSX files are light in weight. Along with shp to xlsx convert you may also check for shp to ods, shp to csv conversion which also more focuses on attribute details. An XLSX file is an Excel spreadsheet created by Microsoft Excel or another spreadsheet program. It stores data in worksheets, which contain cells arranged in a grid of rows and columns, and may also contain charts, mathematical functions, styles, and formatting. XLSX files create simple or complex mathematical models. What is shapefile? Each object within a SHP file contains an individual geographic feature and its attributes. In command -f is file format and XLSX is driver. Then you can specify the output file name with .xlsx extension and input shapefile. 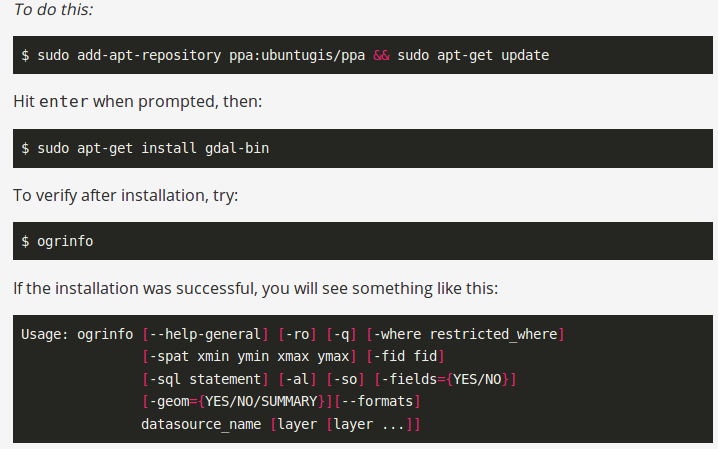 This command can be executed on terminal or using PHP code. Here you must look for the ogr2ogr utility in your system. If not available you can install it using given line of code. Note that while converting shapefile to XLSX, you must check for .shx file. If shx file is not available you may get following error. Shapefile has some supporting file like .dbf, .shx, .prj etc. So you must take all file whenever you perform conversion. If you are aware of Shapefile Open description format, then you can easily access shapefile data through coding. As i have created one such shapefile minimum bounding box parser in c++. 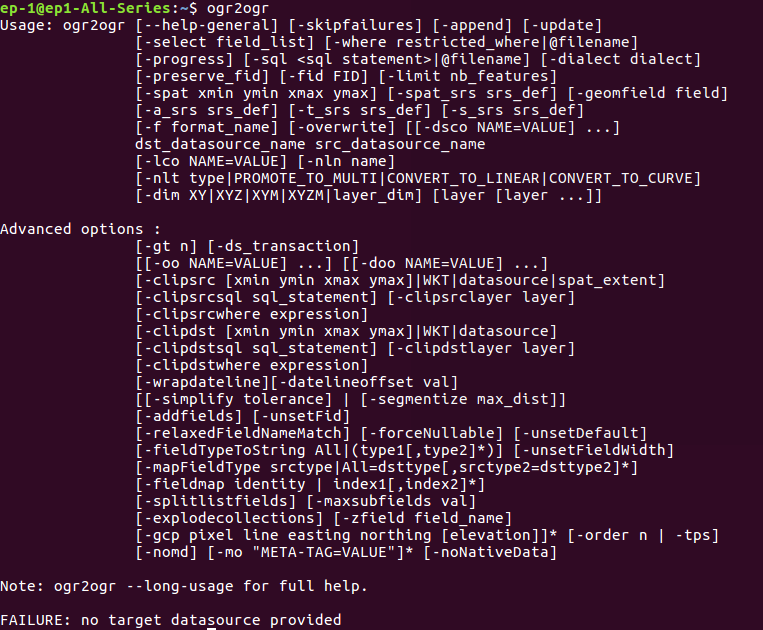 Below in the php code to execute ogr2ogr tool. Here you can perform the conversion using shell_exec() method, which actually executes the command and returns string as output. You may also look forward to convert shapefile to GeoJSON, Shapefile to Kml, Shapefile to topojson and etc conversions. 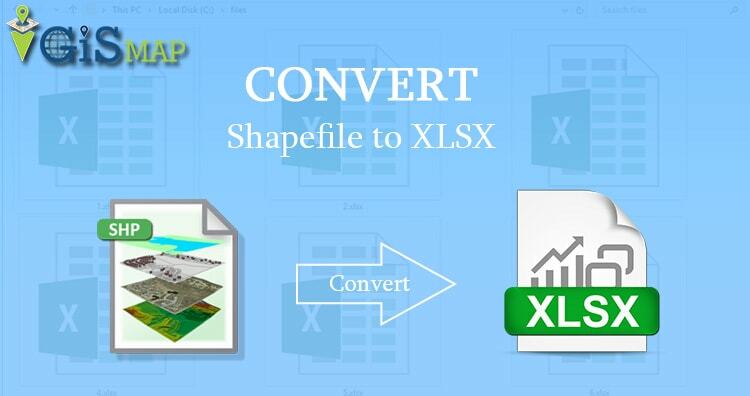 Hope you enjoyed the article and successfully converted shape file into XLSX file. If you have any problem regarding conversion please feel free to write in comment box.